Cappy’s Dry Rub ‘Original’ variety is a medium, low sodium spice blend perfect for those who have a sensitivity to spicy foods but still love just a hint of chili. This variety is the favorite of children of all ages. 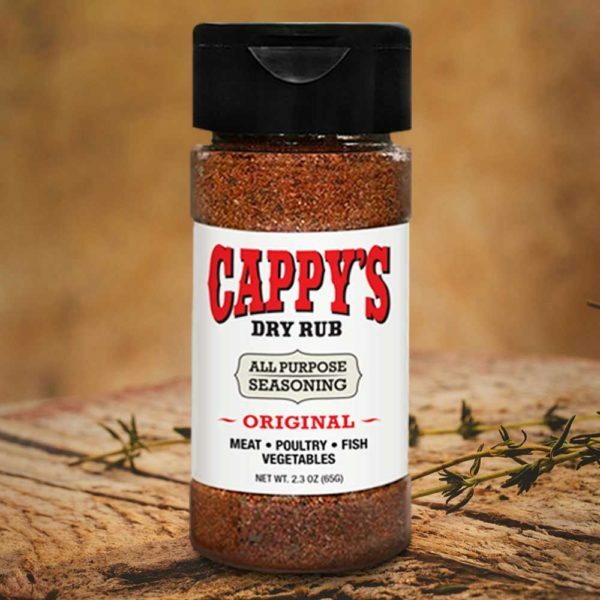 Cappy’s Dry Rub ‘Original’ variety is a medium, low sodium blend. Its perfect for those who have a sensitivity to spicy foods but still love just a hint of chili flavor. This variety is the favorite among children of all ages. If your kids avoid veggies like the plague, win them over with Cappy’s ‘Original’. Because this blend is truly all purpose, its delicious on all meat, poultry, fish and seafood.